Roaches are some of the most versatile pests on the planet and can live almost anywhere. Scientists say that they have been around since the dinosaurs and have had millions of years to adapt. They’re nocturnal and live in the cracks and crevices of your home. More often than not, roaches prefer warmer environments with poor sanitation and hygiene. So, what do you do if you wake up and discover that you have an infestation? The first thing is to not panic and to plan how you’re going to manage the problem. 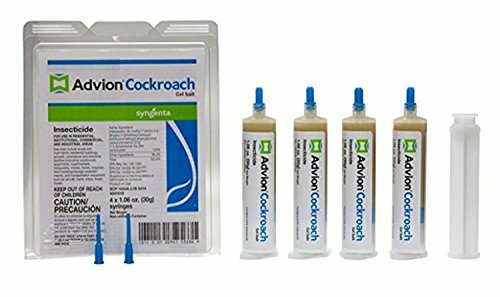 Thankfully, cockroach baits have had great success with infestations (if you use them right). Most baits use a slow acting insecticide that introduces a poison to the other roaches in the nest. This article describes everything you need to know about how to use and buy the best roach bait for your needs. What is roach bait and does it work? Are roach baits indoor use or outdoor use only? What to look for when buying roach bait? Does roach bait even work? How do you use roach bait? If you're short on time and just want to know what we like, check out the below table. Otherwise, keep reading to learn more! Want to skip all this research and just hire a decent exterminator for your roach problem? Roaches live in their nest and go out exploring when they’re searching for food. Roach sprays generally only kill the roaches that you see, which won’t put a stop to any real infestation. Roaches reproduce fast and new eggs replace those that you kill pretty quickly. A roach bait uses various attractants to entice roaches towards the bait. Popular baits usually include a delayed action insecticide embedded inside the bait that spreads throughout the colony by direct ingestion and food sharing. Baiting works really well, but it’s a bit gross… you’ll see what I mean. Baiting works well because roaches leave feces, secretions, and their corpses containing the insecticide in the nest. As they die, their bodies will transfer the poison to the others creating a compound effect on the colony. Another advantage is that some species, if not all, are cannibals and will directly ingest the poisons from dead roaches. There are several species in the US. Some are resistant to certain baits and it can be helpful to identify which roach you might have before buying any one product. Click on this link to see what roaches you have. You can use roach baits both indoors and outdoors but they tend to give better results if you use them indoors. This is because it’s easier to find where nests are inside your house. This makes it easier to place your baits more strategically. Another reason is that most baits aren’t totally waterproof and are affected by direct sunlight. This becomes a problem if you live somewhere with a lot of rainfall and sunshine. If you do want to use baits outdoors, granules tend to perform better. They’re larger and more weather-resistant. Read Also: How to pick the best cockroach traps? Are there homemade roach bait options? Boric acid is a popular chemical used in homemade roach baits, and it is available in most supermarkets and hardware stores. You can make a functional bait using a mixture of boric acid, sugar, and water in equal volumes to create a paste. The sugar solution acts as the bait and the boric acid acts as the killer. You apply this to areas where the roaches are and they then carry it back to their nest. This video shows you how to make a quick and easy homemade roach bait. Another option is to use baking soda that’s mixed with water and sugar. 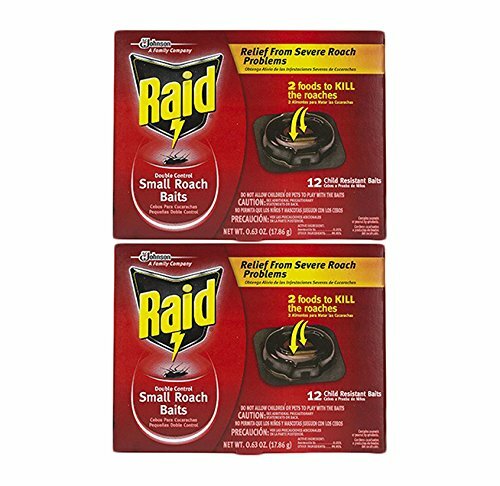 This doesn’t kill instantly and isn’t the best roach killer, but it does work against a few in the house as an alternative to boric acid. 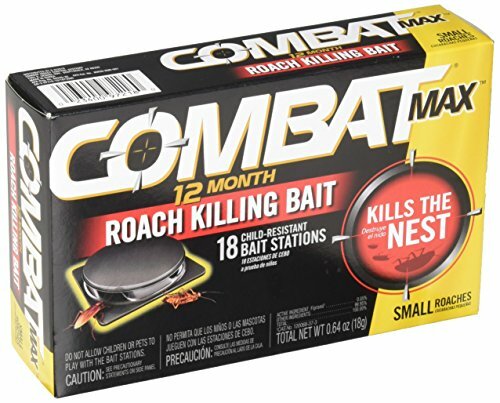 If you have children or pets: Baiting stations are great if you want to use roach baits in several places around the house and want to protect your children or pets from coming in contact. Just place a bit of gel or granules inside the station near the nest and let the bait do its job. Please note: Bait stations help keep kids and pets out, but it isn't a guaranteed way to keep bad things from happening, so always use caution when placing the stations. If you have indoor problems: Gel baits work well for indoor issues and if your roaches are entering through the cracks in your walls. Simply take your gel and fill the cracks and crevices of your house with it. If you have an outside problem: For outdoor problems consider buying granules as they can be easily broadcasted throughout your yard with some gardening tools. Gels also work outdoors, but again avoid direct sunlight and water sources. Read Also: Do cockroaches bite humans? Yes, roach baits are a great way to manage your roach problem. A small amount of insecticide is carried to the nest and spread throughout the colony. This is one of the best and our most recommended methods to counter their fast rate of reproduction outside of using an exterminator. To give you an idea of expectations, the best roach baits should give you a significant reduction in the number of roaches within 1 to 3 weeks. The only drawback is that ​your bait may not complete disrupt the reproductive cycle of your roaches. For that we recommend an insect growth regulator, which sterilizes the offspring. Before putting out any bait at all, make sure you throughly clean all counter tops, floor spaces, carpets, and just about anywhere food or crumbs might be laying around. Roaches are nocturnal and social bugs. This means that they like to be around each other and come out during the night. Lay down a couple roach traps in various corners of your house to give you an idea of where your particular roach problem is coming from. Once you have an idea of where their nest might be, put the bait as close as possible. Choosing the most strategic place to use the bait is the most important thing to remember. Use them in the corners of the room or along the edges where the wall meets the floor. Roaches also like to be in the darker areas behind appliances. Don’t put them in the middle of the room as this makes it more difficult to find. Again, it’s also important to make sure that the bait you set down is the only food source available for your roaches. If you have cookie crumbs underneath your coffee table, chances are your baits might not work. Just remember, roaches will go for the bait if it’s the only food source. You should avoid using sprays with baits. Sprays tend to ﻿repel roaches after application, which will stop roaches from taking any bait you'd set down. Here are five of the best roach baits that are available for you to try at home. Read the descriptions and choose the best product to suit your situation. In general, each product will have a different "bait matrix" and entices roaches with different diet preferences. Advion gel uses a bait that attracts all species of cockroach. A strong non-repellent insecticide (indoxacarb) is mixed in with the bait. You can use the gels both indoors and outdoors by applying it directly to the cracks or into the holes where the roaches are likely to hide. Advion is one of the better baits that’s available and has a long range of action. Though, you may find the gel dries up if you put it in areas with frequent air flow. Fipronil is the active ingredient in the bait, which is a similar active ingredient in other insect baits used for ants to disrupt the nervous system of the bug. To get the most out of this bait, consider placing the 18 stations inside cabinets, behind your fridge, around your stove, and in corners of your house. Combat is a fast and easy product to set up and start using. Roaches die immediately. The bait doesn’t stop new eggs from hatching and infestations can return within a few months. Raid kills roaches at all stages of their life cycle. The bait kills the poisoned ones within a few hours and has residuals that last up to three months. This can disrupt reproduction of your roaches sterilizing the female. Raid is unique because it can control reproduction and kill roaches at all stages of their life cycle. But, it’s not effective in bigger infestations and it may not kill the larger roaches. Invict is another great roach bait on the market for stubborn roach problems. The gel uses a patented active ingredient "Imidacloprid" manufactured by Bayer Cropscience. Imidaclaorprid is a slow acting poison modeled after nicotine (think cigarettes). This bait specifically targets German roaches. Just apply the gel using the syringe to the cracks along your wall and skirting boards. The gel should be replaced every three months. Invict targets German roaches so you need to identify which ones you have before buying this gel. The bait is a fast killer, but you can get other products that are a bit more affordable and give similar results. Maxforce FC Magnum is another gel bait by Bayer Cropscience. 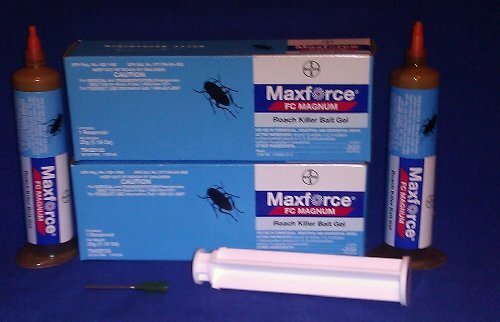 Maxforce is for more heavy duty infestations. with five times more active ingredient (fipronil) than other alternatives. The gel acts both through contact and ingestion. You can use this indoors and outdoors and it’s still effective for up to a year after it dries out. As with other baits, make sure you clean up the affected area and rotate baits accordingly to prevent any bait resistance. Out of the roach baits in this review, we're going to give the overall recommendation to Advion. The gel is versatile affecting a wide-range of cockroach types and you can use it inside and outside your home. For best results, place a couple roach traps around the corners of your house to see where your roach problem may be coming from. Once you have an idea of where the nest is, add couple of drops of Advion to the affected areas where the roaches are likely to travel (sinks, cabinets, closets, crack in the floor, etc). Also consider using insect growth regulators to help disrupt the reproductive cycle of your roach infestation. When used as directed, Advion can be one of the best roach baits for small to mid-size roach infestations. Curious about other cockroach articles? Check out our other detailed guides to help you deal with your pest problems. I can appreciate your views but Magnum is leaps and bounds better than Advion. I have personally researched and field tested both. In 2014 we used advion only and in 2015 Magnum only. Call backs were lower with Magnum, used less insecticide, and had a significantly higher initial knockdown rate on German Roaches. Reason being is Maxforce Magnum infects by touch, digestion, and even gets secondary kills. You said Combat wasn’t safe? But yet the active ingredient is widely used on animals and livestock for treatment of parasites and blood suckers world wide. I can almost guarantee you didn’t write this.